"Every mistake you make, you make it for a reason." 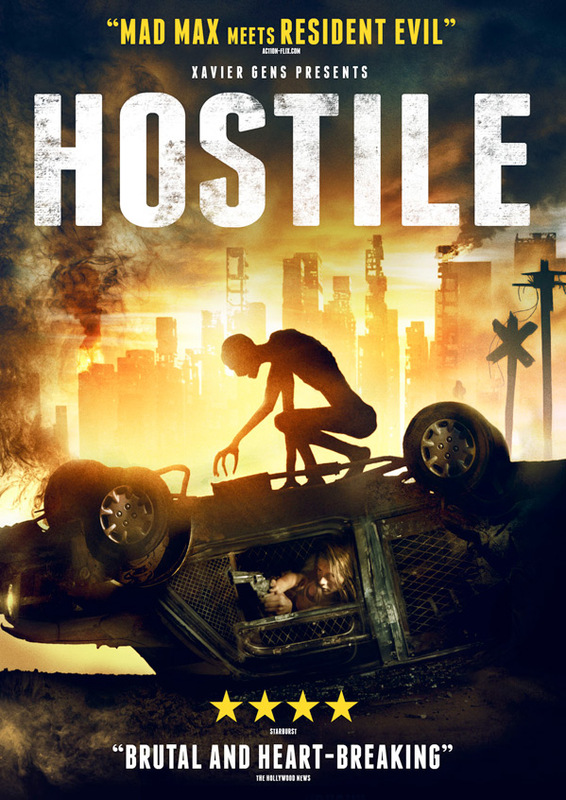 4Digital Media has released a new trailer for a post-apocalyptic survival horror film titled Hostile, from French filmmaker Mathieu Turi making his directorial debut. We posted a slick teaser trailer for this last fall, and finally have another new trailer to promote its upcoming US release in September this year. Not to be confused with the Christian Bale western Hostiles, this film is about a woman, played by Brittany Ashworth, who is a survivor of an apocalypse and ends up crashing her truck while driving around. She wakes up at night, and must battle strange creatures that roam the wastelands in the dark. The cast includes Grégory Fitoussi, Javier Botet, Jay Benedict, and David Gasman. This still reminds me a bit of I Am Legend, but this trailer makes it seem somewhat more unique. A worldwide epidemic has killed most of the planet's population. The few survivors struggle to find food and shelter in the deserted wastelands leftover. But they are not alone. On her way back from a scavenging mission, Juliette (Brittany Ashworth) has a terrible accident. Stuck in her car, with a broken leg, in the middle of an unforgiving desert, she must survive the perils of the post-apocalypse, while a strange creature prowls around. Hostile is both written and directed by French filmmaker Mathieu Turi, a former crowd assistant director making his feature directorial debut after a few short films previously. This first premiered at the Neuchâtel Fantastic Film Festival in Switzerland, and has played at a few other film festivals last year including at the Sitges Film Festival & FilmQuest Festival. 4Digital Media will release Turi's Hostile in select theaters + on VOD starting September 4th in the fall. Who still wants to see this?